How to use the Center of Gravity Calibration? Read the manual (.pdf file) posted in this forum. No mention of how to calibrate the center of gravity. This setting is under the GEAR icon>More> Three Dots > Center Of Gravity Calibration - Button to Calibrate is greyed out. Is this calibrated while connected to the Tello and in flight? I checked for a firmware upgrade and the app indicated the one on my Tello that was just received was the most current. I have tried this function. You should do the Center of Gravity Calibration only when APP prompts a message about it. And the Tello should be hovering so you could do the calibration. I was hoping that by doing the calibration it would eliminate some of the drift. I have no actual empirical data to prove my opinion, but my personal experience is that the Tello will drift if it can't "see" the terrain under it clearly. In dim light, in my house, it will rarely stay on station by itself, except in areas with bright light. Outside, there seems to be no problems with drift at altitudes below 3 meters or so in quiet air, but if you go higher, some drift occurs. 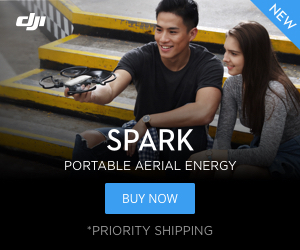 Remember, gang, this ain't no Mavic Pro, etc. It's a toy, as sophisticated as it is. I thank my lucky stars I've got no kids I'd have to share it with, though. As such, it seems well worth the $100. For my own part, I can't wait until they start selling spare batteries. I don't even come close to getting a satisfying flight fix with 10+ minutes of flight, between long charges. but in all seriousness, you are absolutely correct. when it has a good "lock" on the ground it stays planted really well, even in wind, but when it loses that lock because its dark, or whatever, it likes to dance. Mine drifts around a lot indoors with low light. Once I flip on the overhead lights, rock solid. So it for sure likes lots of light. Did you do calibration, with props and guards off? I did several times and get the thing very perpidicular, and that seemed to really help. After multiple crashes (I'm having a lot of trouble with the virtual joy sticks and fat thumbs), I began to suspect that maybe the IMU's file for center of gravity was either corrupted or had some bad data in it. Every time I took off, the Beast (my nick name for my Tello) would quickly rise at 45 degree angle to the left until it got oriented. This actually caused a few more crashes. I decided to try the Center of Gravity calibration. This can only be done while the Tello is hovering. I got the Beast into hover mode, and relatively stable, then the COG calibrate button was no longer greyed out. I pressed the button, and a few odd-colored flashes were emitted from the LED. About 15 seconds later, the calibration was complete. I landed and took off again, and the Tello acted exactly as advertised. A perfectly vertical take off, then a hover at "ready" altitude. If your Tello seems to be behaving a bit strange, and there's enough light, try the COG calibration. It might help. If your Tello seems to be behaving a bit strange, and there's enough light, try the COG calibration. It might help. Thanks !! That’s great to know about CoG calibration. My Tello remains pretty stable right now but I’m guessing this calibration would be good for when a drift sets in (perhaps for example from uneven motor wear) or from when accessories are attached to the drone such as cameras or lights etc.